Is there sufficient pressure to deliver ROI quickly? Can the software be developed incrementally? Is your team reasonably small and co-located in one place? Can you arrange regular direct (face to face) contact with the client? Is the change impact on the organization / users not a big factor? If the answer to the above is “Yes” in most / all cases, then Agile is a good fit. 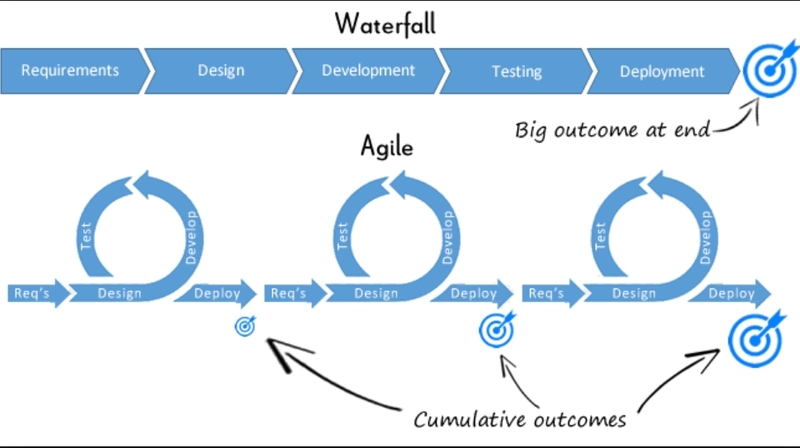 In reality, the ideal is often somewhere between Agile and traditional Waterfall methods however for larger projects. For instance, clients need to commit to a budget, which requires a certain level of planning / analysis to arrive at a figure. 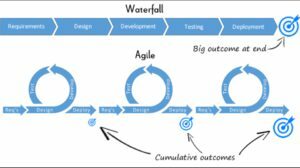 In our experience a combined Agile + Waterfall method is well suited for an environment which needs overall governance / cost control (i.e. Waterfall), yet business is fast-paced and requirements / environmental changes are rapid.